Sunglasses are probably my most favorite accessory. Sunglasses are essential for me because my light-colored eyes are extremely sensitive to sunlight… and by sunlight I actually mean daylight. Yep, even the grayest of days require sunglasses. Last Christmas, my husband bought me my first pair of Tom Ford sunglasses and now I’m hooked. 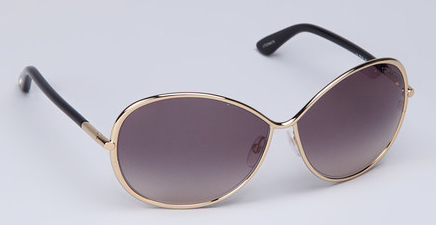 So when I found these sophisticated Tom Ford gold-framed shades on Zulily today, I immediately added them to my “want” list.